Power up with these nutrient-dense, protein-rich burritos! Stir the quinoa, salsa and black beans into the tofu scramble. Taste and adjust seasoning as desired. Place some of the scramble in the middle of a tortilla. Top with additional salsa and sprinkle with cilantro. Fold in the sides of the tortilla, and roll it up. Repeat with the rest of the scramble. 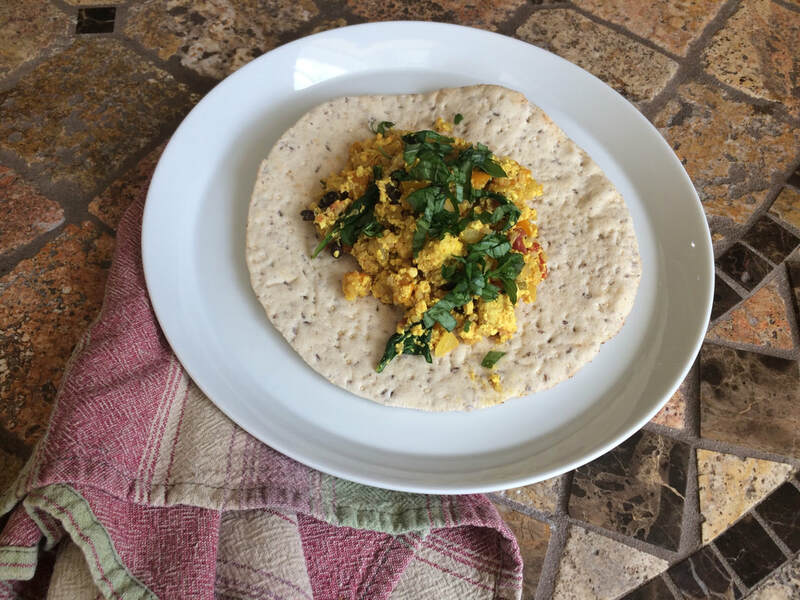 Serve the breakfast burritos warm, or wrap up and store in the fridge or freezer to heat up and enjoy throughout the week. This would also be good with some cubes of cooked sweet potato and extra greens.